An alleged Russian plot to infiltrate a chemical weapons laboratory where samples of the poison Novichok were being tested has been foiled. 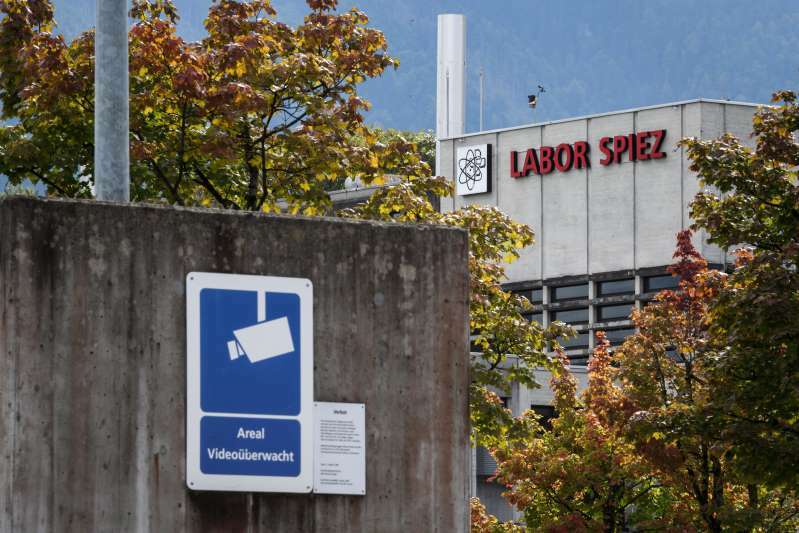 Two Russians were arrested while allegedly en route to the Spiez Laboratory near Berne, Switzerland, which tested samples of the nerve agent found in the British city of Salisbury, the newspapers Tages-Anzeiger and NRC Handelsblad reported. Salisbury was where the former Russian spy Sergei Skripal and his daughter Yulia were poisoned by Novichok on March 4. Britain accuses Russia of being behind the attack, a claim Moscow denies. The newspapers say that Switzerland’s intelligence agency the NDB worked with its British and Dutch counterparts to thwart the pair, who were not the same people charged with the attack on Skripal. They were eventually sent back to Russia and not prosecuted. The NDB said in a statement: "Swiss authorities are aware of the case of Russian spies identified in The Hague and expelled from there. “The NDB took active part in this operation together with its Dutch and British partners. The NDB has thus contributed to preventing illegal activity targeting critical Swiss infrastructure,” Reuters reported. It comes amid rising tensions following the appearance on state-funded TV channel RT of the Russians accused of the Salisbury attacks. The men, who said their names were Ruslan Boshirov and Alexander Petrov, insisted that they were simply tourists who had come to view the city’s cathedral. Kremlin spokesman Dmitry Peskov said it would not allow British access to the suspects. "We don't organize interviews with citizens of Russia. There are mechanisms to provide legal assistance...if the British decide to make application, we will respond strictly according to law. “No action was taken against them, because there is no reason for this. They did not violate any laws on the territory of the Russian Federation. And we also do not know officially that they violated some laws somewhere else in the world," Peskov said according to RIA Novosti. Meanwhile, the interviewer of the suspects, RT head Margarita Simonyan, hung up on BBC journalist Kirsty Wark who accused her network of being a "propaganda tool for the Russian state." Simonyan told the Newsnight presenter: "Your question is totally unobjective to me now. Your question seems like typical Western propaganda because of which people actually watch RT. It's nothing like you're saying it was. Thank you very much."